What does it take to make energy efficient products more available and affordable for consumers? Success starts with our long-standing relationships with retailers and manufacturers. Promoting customer adoption of energy efficient solutions is an important component of any energy savings strategy. 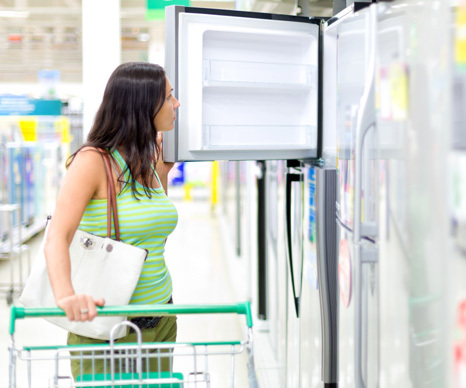 We leverage long-standing relationships with national, regional and local retailers and manufacturers to lower the cost and increase the availability of energy efficient products at retail, making it easier for customers to participate. Our retail programs generate cost-effective, verifiable savings and often serve as many customers' first introduction to energy efficiency programs. We offer a range of programs that can be tailored to a client's needs. From implementation of up- and mid-stream incentives, to development of mark-down and buy-down bundles, to training at the retail level, our results-driven approach will create consumer-level energy saving success. We also offer comprehensive field delivery. Thanks to our highly trained field staff and their frequent retail visits, we are able to improve retailer understanding and satisfaction, while verifying proper program execution. The ultimate goal of these programs is to mitigate barriers to entry for customers. We design each program not only to address the largest sources of electric energy usage in the home but to influence customer purchase decisions with lower costs and point-of-purchase marketing, including educational materials, that will inspire long-term buying habits and sustain future energy savings behaviors. To that end, our field staff regularly engage customers during retail visits, promoting features and benefits of efficient products and cross-promoting additional client program offerings. CLEAResult has designed and implemented 35 residential retail programs for 25 different client programs, impacting communities across North America.